Birmingham Alabama festivals and events – Here is your complete list of all the top festivals and events for Birmingham this year. Birmingham is known as one of the best cities in the nation for festivals and events scheduling. Hey Bill, sorry for getting back to you late; I was having trouble finding the contact info for the organizers of that one. I'm still looking through some old emails though. The Student Life Conference will use solid biblical teaching, worship, live drama and prayer to move students focus away from the mundane and toward the opportunities for impacting eternity in their everyday lives. For example, life changes when an athlete shifts their gaze away from the scoreboard and toward building meaningful relationships with their teammates and displaying exemplary character on the field. When students fix their eyes on the unseen, they experience an abundant life in Christ today and know they have an eternity they can count on, sight unseen. OPA! It’s that time of year again, so mark your calendar for September 26, 27, 28th from 10:30am-10:00pm and come hungry to the 41st Annual Greek Festival. It’s one of Birmingham’s most highly anticipated events and a true cultural experience, the festival is an act of love of Birmingham’s Greek community. 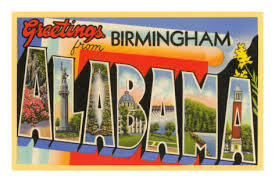 Here is your list of all the top events in Birmingham Alabama listed by month. Select the event you would like to get more information on, where applicable and go to the festival page. The exact dates vary from year to year so please check the links where available to learn exact dates for current year. Click here if you would like to see all top Alabama festivals and events or to learn more about the Alabama State Fair. David’s Arts & Frames, Inc. at David’s Arts & Frames, Inc.
Festivals packages for Birmingham Alabama! To purchase this package, visit the paypal site above for checkout. If you would like to get more information visit our festival package information page. For purchase with credit card, please visit Prime Time Print Birmingham Alabama customized shot glasses page. Here are your top listings for events and festivals in Birmingham Alabama this January. Here are your top listings for events and festivals in Birmingham Alabama this February. Here are your top listings for events and festivals in Birmingham Alabama this March. Here are your top listings for events and festivals in Birmingham Alabama this April. Here are your top listings for events and festivals in Birmingham Alabama this May. Here are your top listings for events and festivals in Birmingham Alabama this October. “The Blues” and Bill Sims, Jr. The Birmingham Barons are a minor league baseball team based in Birmingham, Alabama. The team, which plays in the Southern League, is the Double-A affiliate of the Chicago White Sox major-league club. NBA great Michael Jordan of the Chicago Bulls once played for the the Barons while trying his hand at professional baseball. * The Decked out Dash! A season to remember ended with a champagne celebration in Birmingham as the Barons captured their first Southern League Championship since 2002 with a 4-2 win over the Mobile Bay Bears in Game 5 of the Southern League Championship Series at Regions Field. 3 Responses to "Birmingham Alabama festivals and events"
Hey Bill, sorry for getting back to you late; I was having trouble finding the contact info for the organizers of that one. I’m still looking through some old emails though.